In 2017, 18% of the UK population was over the age of 65 and 2% were over the age of 85. By 2050 nearly one in five people in developing countries will be over 60. The needs, challenges, and expectations of this group will be significantly different than those of previous generations. At the same time, chronic and lifestyle-related diseases are on the rise, and healthcare services are struggling to keep up with the consequent accelerating demand. The recently published NHS Long Term Plan has called for the need for action on prevention and mainstream digitally-enabled care. The focus must be toward delivering a ‘new look’ service that’s embedded within communities. This could range from assisted living, self-care, tele-care, and tele-medicine within a single housing unit, to multiple units supported by social care services, nurses, doctors, physiotherapists, occupational health visitors, psychiatric nurses, and local pharmacists. Digital tools enable healthcare services to be more personal and socially-minded. 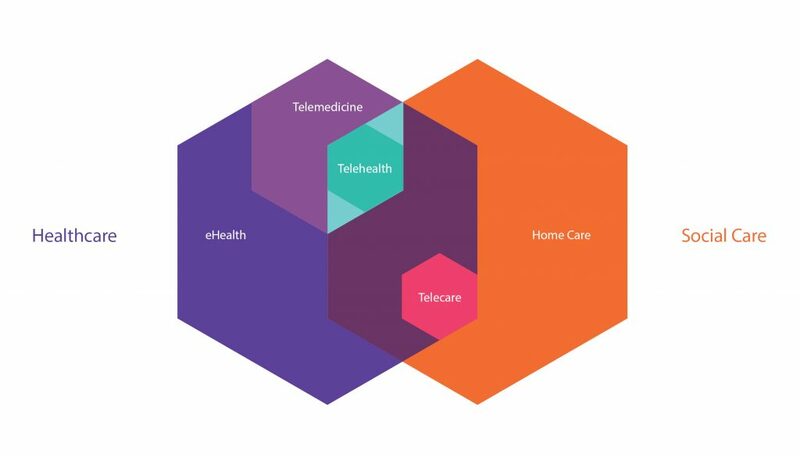 Technology and communication networks can help alleviate overburdened healthcare systems by providing clinical tele-health and tele-care services to people on demand. Companies such as Amazon, Google, and Microsoft are already establishing their digital presence within our homes and it’s not hard to imagine this infrastructure enhanced by tele-healthcare services. With high definition video tele-healthcare systems, doctors and nurses will be able to hold virtual consultations with patients or remote in from hospitals in a “virtual ward” scenario. Already, there are successful examples of real-time clinical tele-health services such as tele-mental health, tele-audiology, and tele-nursing that use monitoring sensors to capture and transmit physiological data. 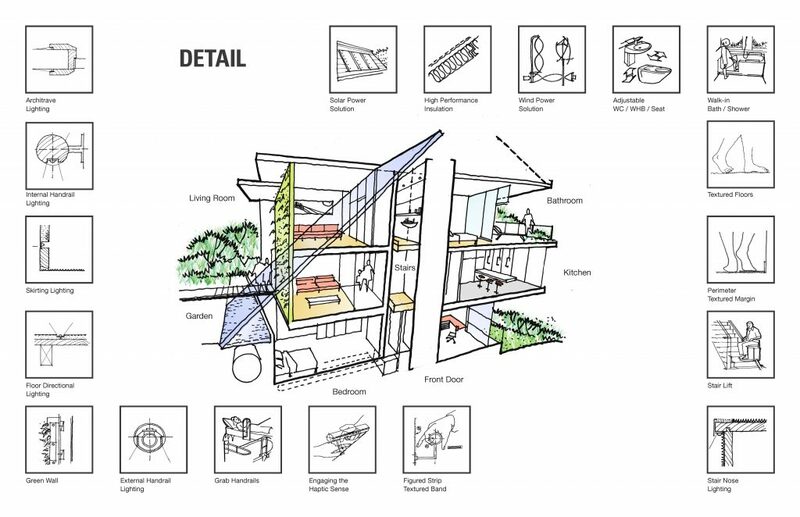 This shift will also see a rise in salutogenesis, an approach that focuses on factors that support human health and well-being not only within the community, but also in the homes of tomorrow. In order to best design the home care services of tomorrow, the ageing process, body systems maturity, human physiology, and sensory receptors must be understood alongside the comprehension of related medical issues, morbidity levels, and salutogenic needs. However, in order to address the health and wellbeing issues of today and tomorrow, the traditional perceptions of what constitutes as “home” will have to be dismantled, reinvented, and reconstructed. These new spaces must be flexible and agile to adapt to ‘ageless’, ‘multigenerational’, and ‘multi-morbidity’ scenarios. Ergonomic and anthropometric data can be used to help design a supportive home with fabrics, and finishes, equipment, and devices designed to accommodate the ageing body: its predicted postures, movements, weight, size, properties, and cognitive abilities. Design tools such as virtual reality, augmented reality, and sense-sensitive design will ensure successful outcomes. Assistive design and technology interventions do not have be disruptive or expensive. Correcting diurnal temperatures, colour ways, bedside dimmers, bed inclination, amber illumination, bed/WC orientation, and biophilic design, are all examples of low-barrier interventions. Alternative solutions are available as well, though they tend to be more costly. Examples of these include, medical bedheads, sensory doors, body driers, robotics, thermal responsive shower heads and tiles, smart floors, LED WC seats, smart oxygen delivery, night-time hydrants, LED pillows, axo suits, Toto WC/Bidets, ODE emitters and Tomek fittings. While there are many challenges facing healthcare systems, today’s rapid technological advances offer us a solution to provide new and innovative forms of healthcare services that can improve what’s currently available. If we embrace today’s challenges and deconstruct, reconstruct, and reboot them with a focus on health and well-being, the homes of the future could well alleviate the pressures that our current healthcare systems are struggling with. Ergonomic and anthropometric data can help the next generation of elders age in place. This article is based on the findings of the UK Government White Paper, Neighbourhoods of the Future, produced by the Agile Ageing Alliance in partnership with Tata Steel.